Father Maximus Abba Moses grew up in Montréal, Canada. After hearing the call to monasticism, he left the world to join St. Mary & St. Moses Abbey in the Coptic Orthodox Diocese of the Southern USA. He became a disciple of His Grace Bishop Youssef, the bishop of the diocese and abbot of the abbey. He was consecrated a monk in 2011, ordained a priest in 2016, and elevated to hegumen in 2018. 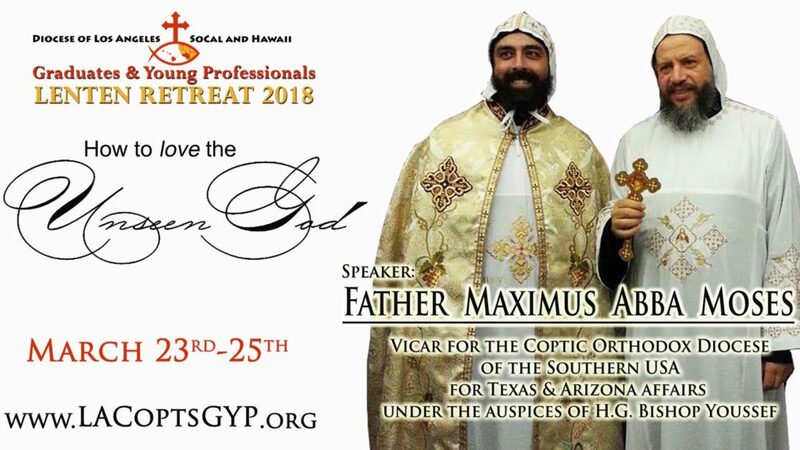 Due to the expansion of the churches, communities, congregation and services in the Diocese of the Southern USA, Father Maximus now serves as Episcopal Vicar under the auspices of His Grace Bishop Youssef. As vicar to the bishop, he attends to the pastoral and administrative affairs of Texas and Arizona. We are so grateful to him for blessing us with a visit to SoCal! 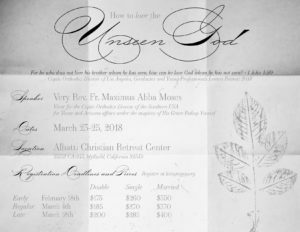 Register TODAY for the Lenten Retreat HERE! 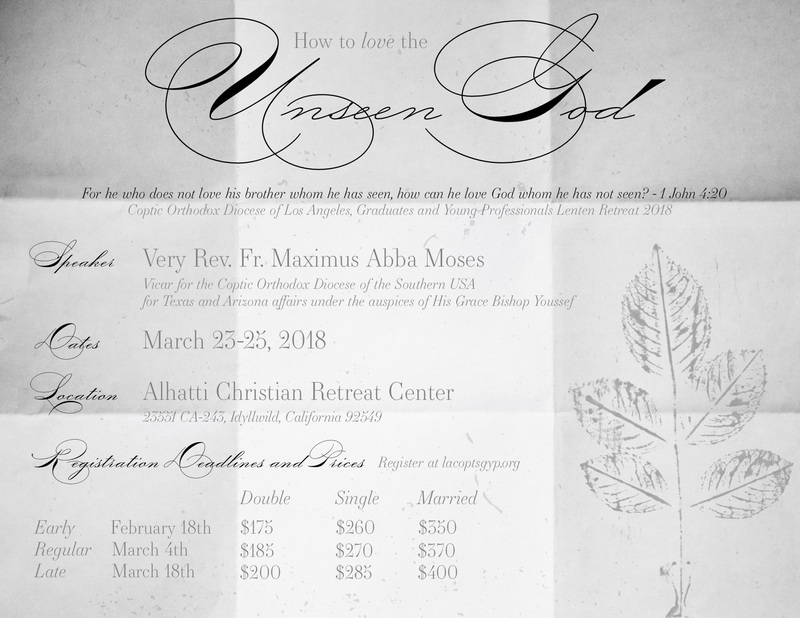 Don’t miss out on the opportunity for spiritual contemplation, growth, and fellowship on a secluded mountaintop. We are looking forward to benefiting spiritually together and enjoying Christ in fellowship with one another.